Which Aluminum Alloys are Best for Extruded Heat Sinks? Heat sinks are used in CPUs and graphics processors. They’re found in everything from lighting equipment to automotive equipment. When you’re designing a heat sink, there are compromises you need to make. When it comes to material choice, aluminum is the most common. 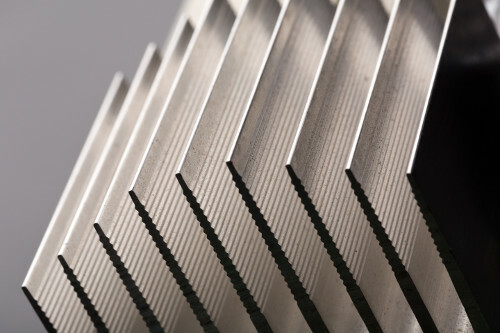 It’s also worth noting that the most common manufacturing process for heat sinks is extrusion. Let’s talk about why you might choose aluminum over copper (another common choice). And then we’ll talk about the most appropriate alloys you might choose from. Why Use Aluminum Instead of Copper? We’ve talked before about the benefits of both aluminum and copper in heat sinks. It’s important to note that copper has higher thermal conductivity levels. In fact, copper’s thermal conductivity is about 60% higher than that of aluminum. However, aluminum is versatile, lightweight, and low-cost. And it’s thermal conductivity is still good. This ends up making it suitable for most applications. There are different types of aluminum heat sinks. But, extrusion is the most popular manufacturing process. Heat sinks can be extruded in high volumes at a relatively low cost. If you’re designing extruded heat sinks, you may wonder which alloy you should choose for your extrusions. Which Aluminum Alloy Should You Use for Your Heat Sinks? If your first thought is to find the alloy with the highest thermal conductivity, think again. For example, 1050 aluminum offers a thermal conductivity value of 229 W/m•K. However, this alloy is mechanically too soft for heat sinks. You should generally look at the 6000 series alloys for heat sinks. These alloys are widely available, are fairly strong, and tend to extrude well. The following chart shows a comparison. Alloys like 6061 and 6063 are some of the most common in the 6000 series. They are common for extrusion in general. And either one will actually work quite well for heat sinks. Whichever alloy you choose, remember that there is more to heat dispersal than alloy choice. The difference in thermal conductivity between 6000 series alloys is relatively minimal. So, maximizing the surface area of the heat sink and optimizing airflow over it are key to enhancing performance. In your design, be sure the heat sink conforms as tightly as possible to the hot component and leaves the smallest possible gap. This will help ensure the success of your project.